I recently posted about my first Models Own nail polish, and I have to say they are excellent quality. I am a huge OPI fan but the price tag of OPI can be a little steep when often I go off shades quite quickly (woman's prerogative) Models Own are a fab, cheaper alternative. Here are my new shades. Jade Stone and Top Turquoise. 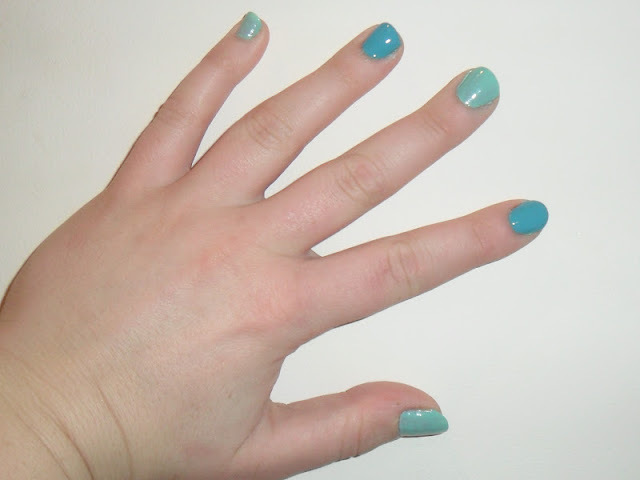 These polishes are opaque in one coat and are really glossy. I am really loving this SS12's trend of pastel shades and Jade Stone is a fab pastel green that I will be rocking with some outfit (an outfit I am yet to buy). If you didn't read my previous post about Models Own polishes they are £5.00 each and they also do fab offers (buy 3 save £3.00, buy 5 save £7.00) and great value gift sets, at the moment they are selling a set of 6 (in various shades) for £20.00! What do you think of the pastel trend? It's such a great shade for this season! I can see me buying alot more of these polishes, too many fab shades! I've never owned these sort of shades before!! Definitly been missing out! I love all those Em. I have to thank you for introducing me to this brand. 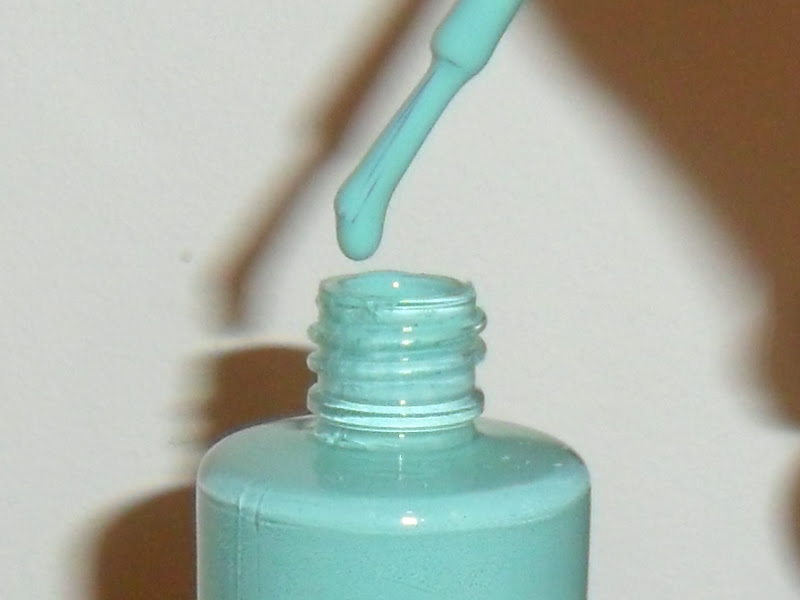 I bought Indian Ocean from the Beetlejuice collection and it's fab. 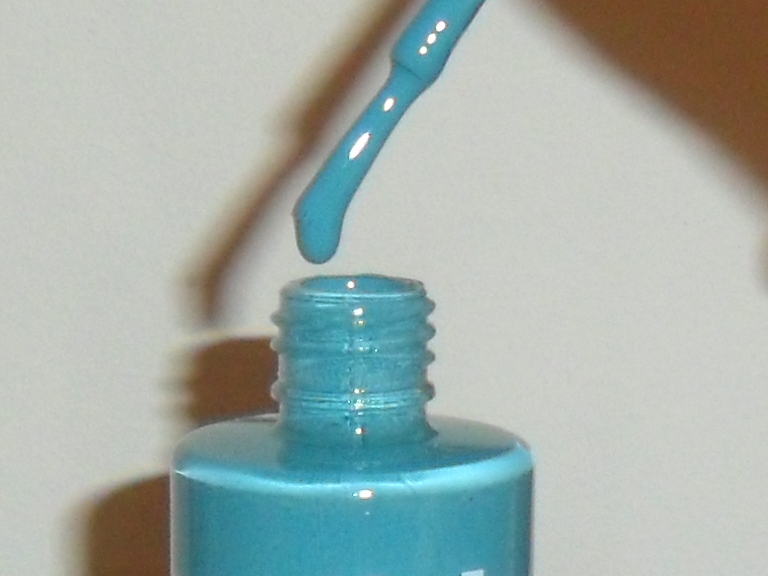 I used it without either a base or top coat and the staying power is fantastic. I'm too old for pastels but I'd definitely be wearing them if I was 20 years younger!